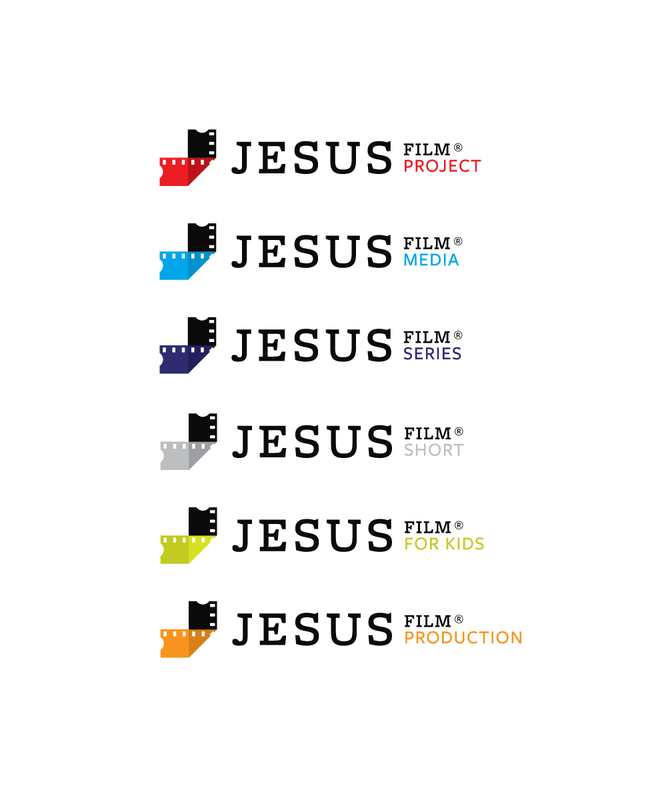 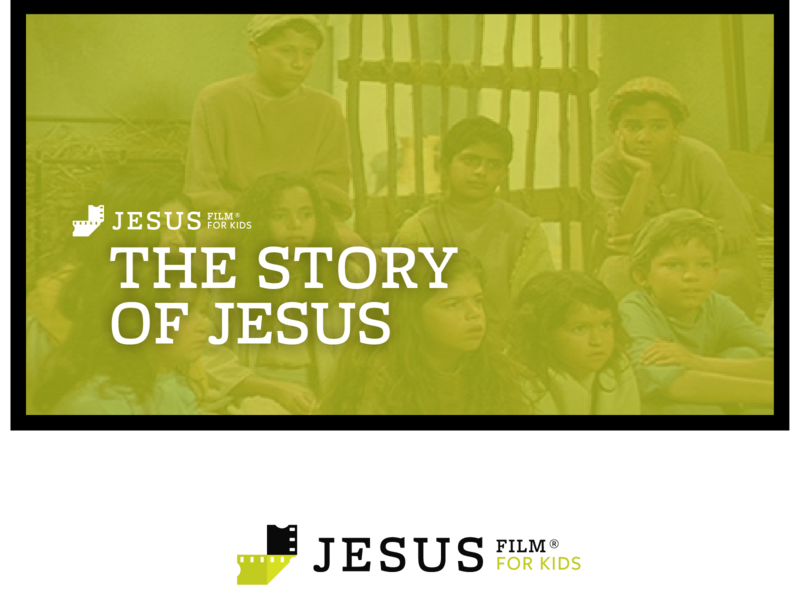 The Jesus Film Project has produced multiple films in over 1200 languages. 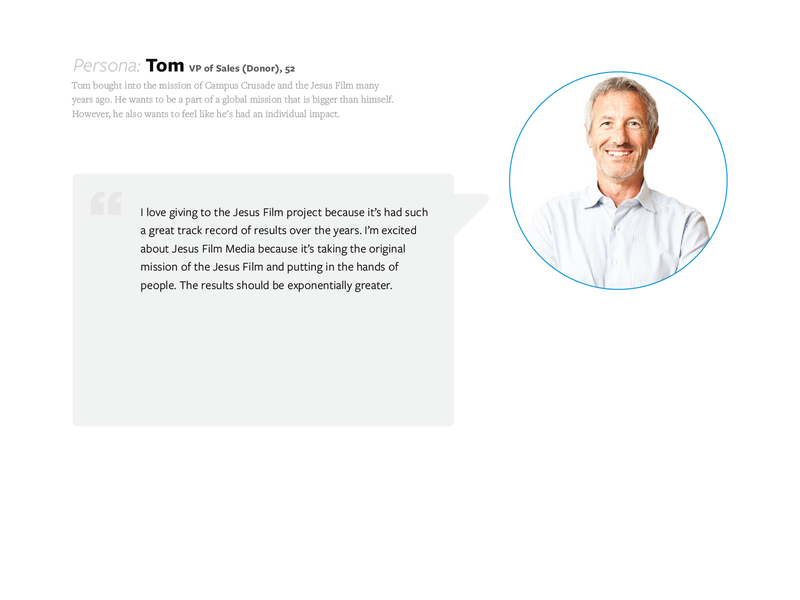 Traditionally, they have taken these films to the field with actual projectors and screens. 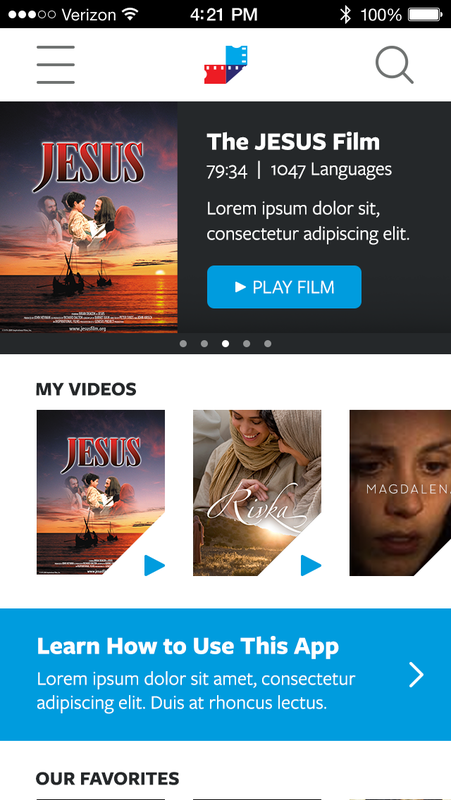 Along with their internal engineering team, we helped them take these films to the digital realm. 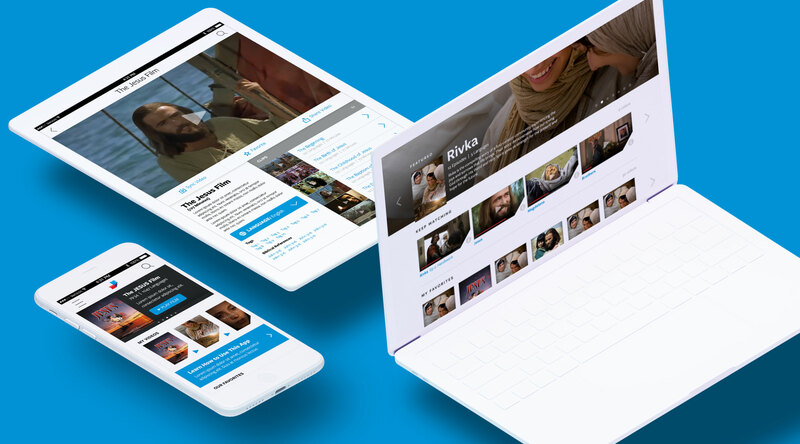 We helped them clarify the audience, architect the experience and design the interface and evolve the brand identity. 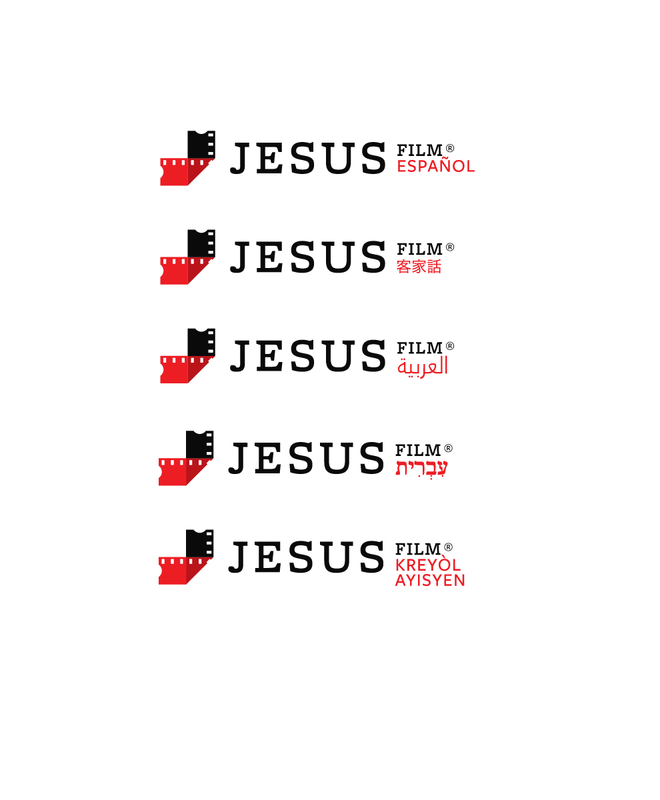 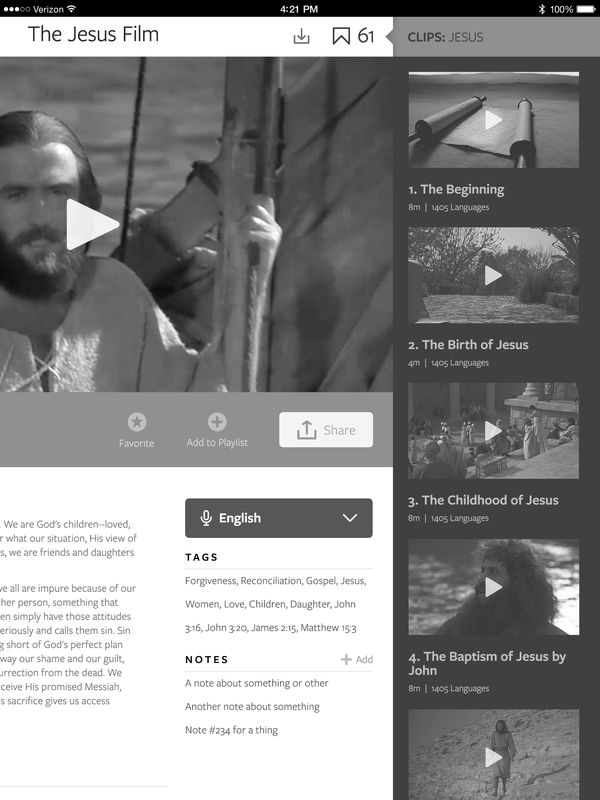 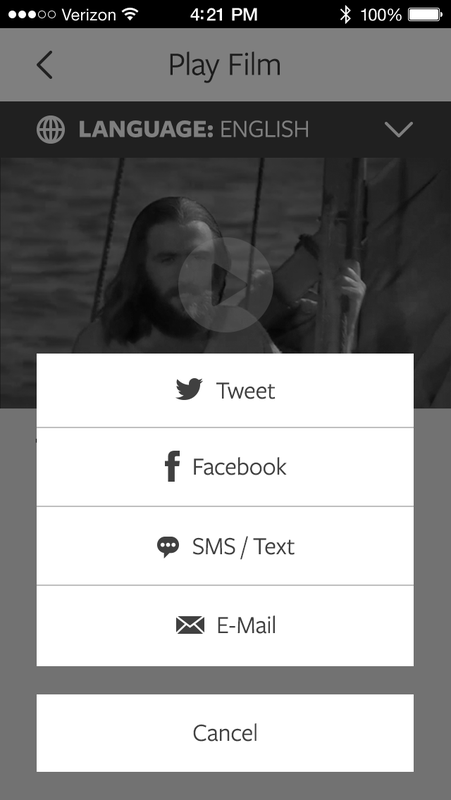 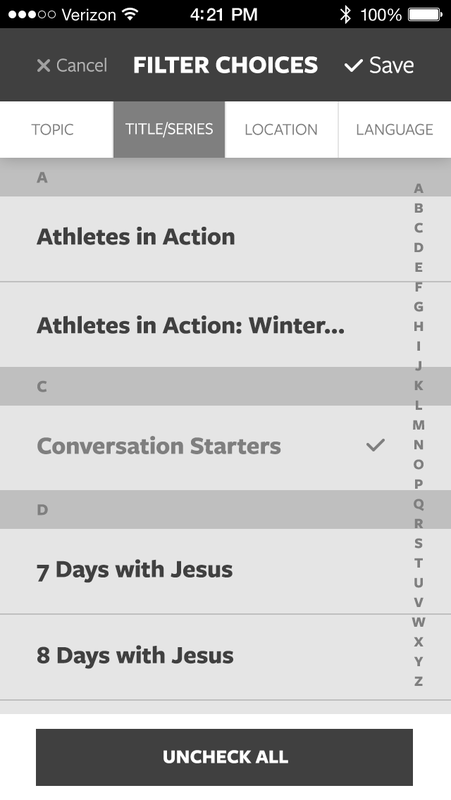 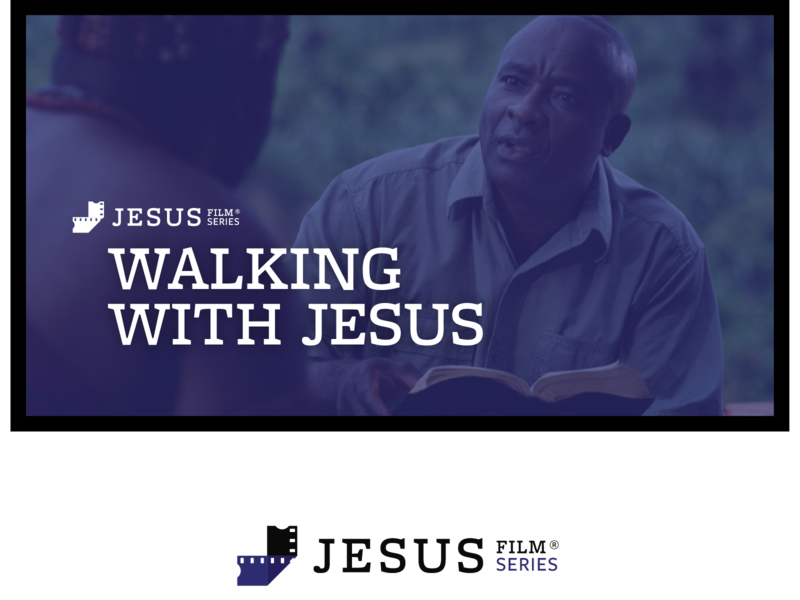 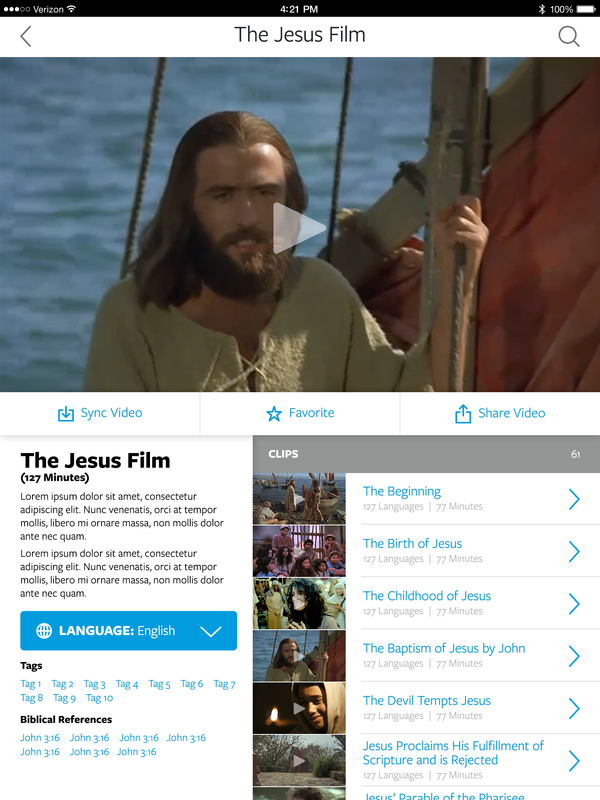 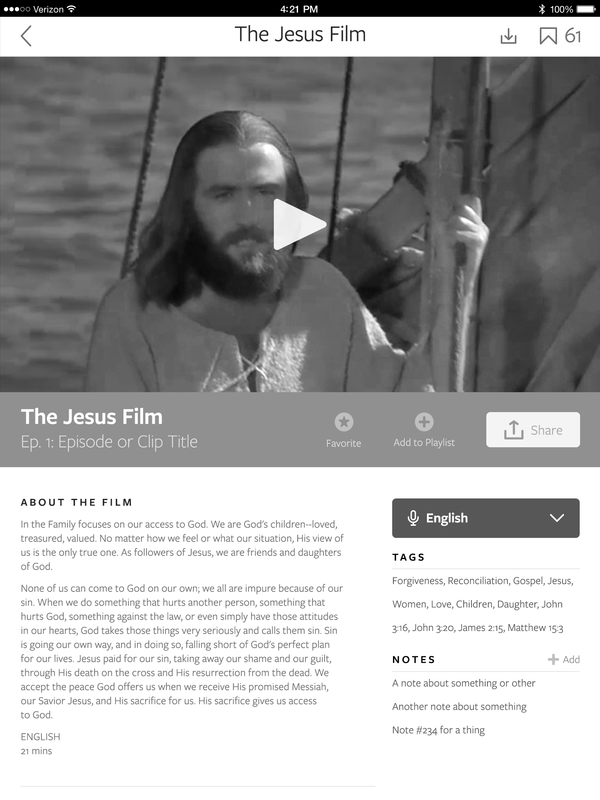 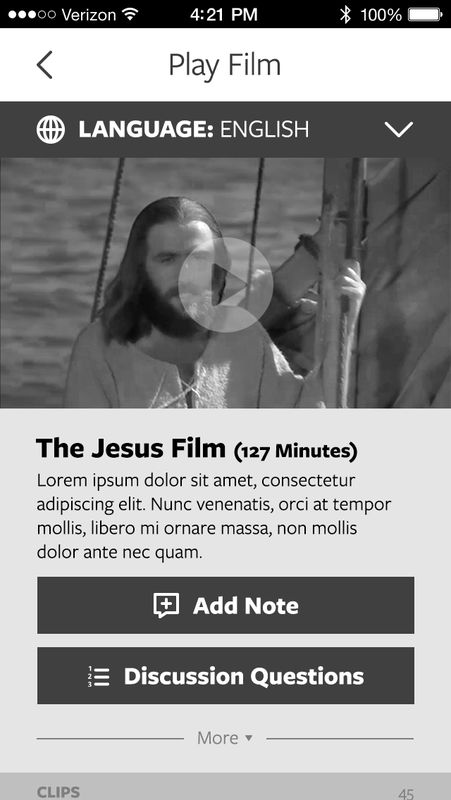 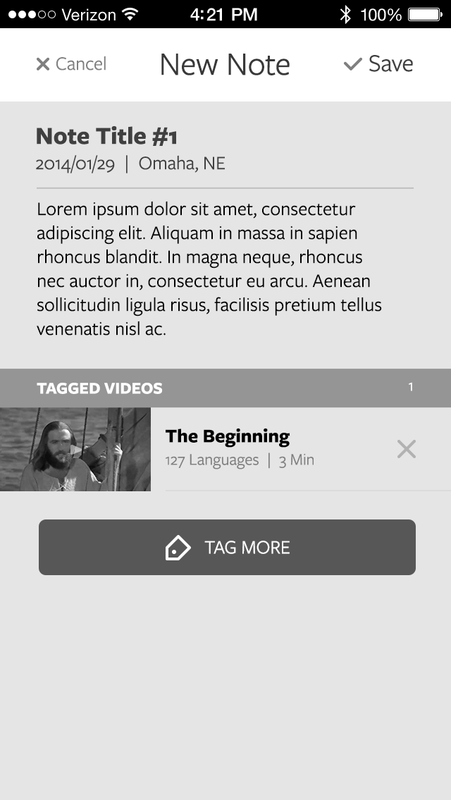 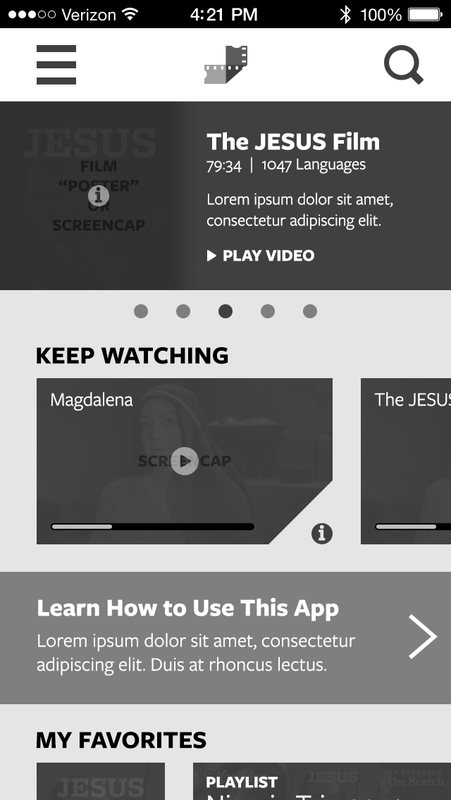 Jesus Film Media empowers the believer with unprecedented access to gospel-centered films in every language so that every nation, tribe and people can see and share the message of Jesus. 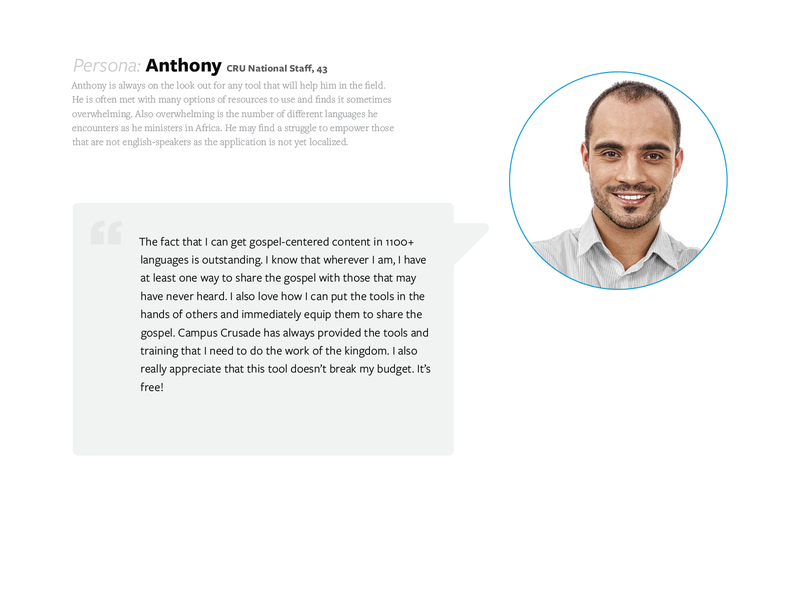 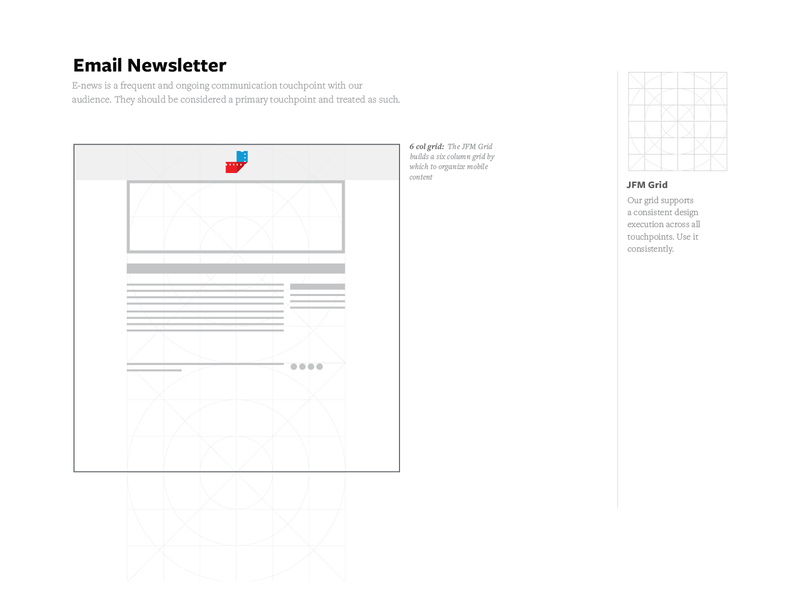 We worked to understand the customer from a brand and user perspective. 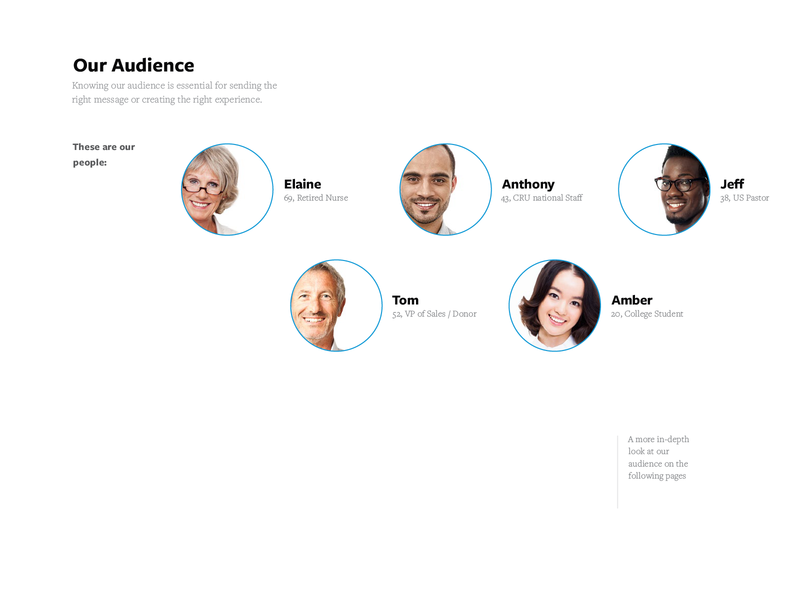 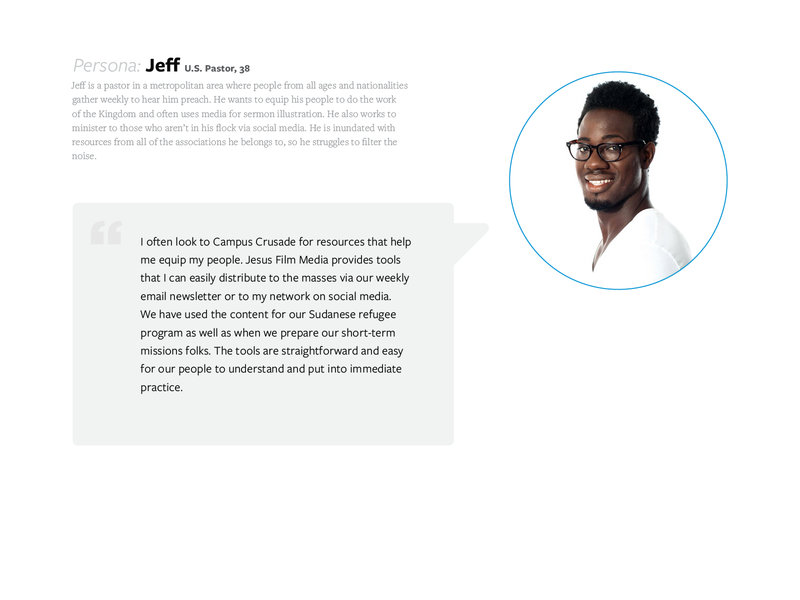 We created personas of our primary audiences and wrote stories about them to paint a picture of what their life is like and how JFM can help them on their journey. 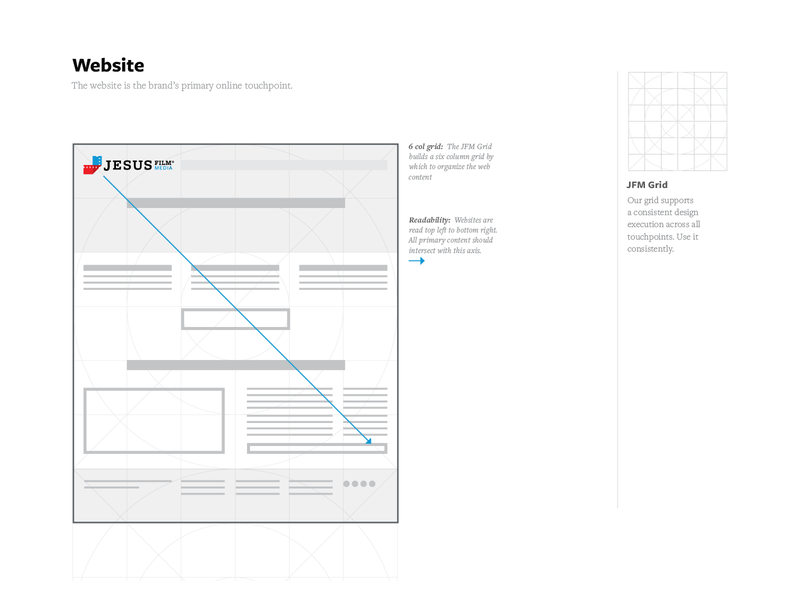 I evolved the existing identity to reflect change and create better emphasis. 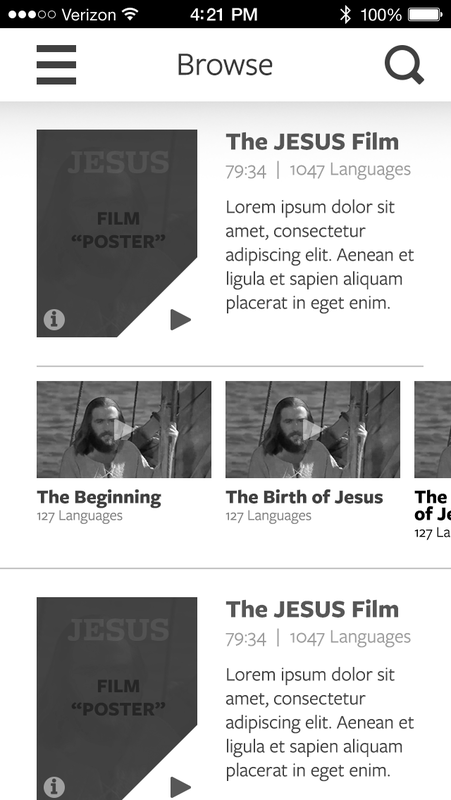 What you see is the before and after. 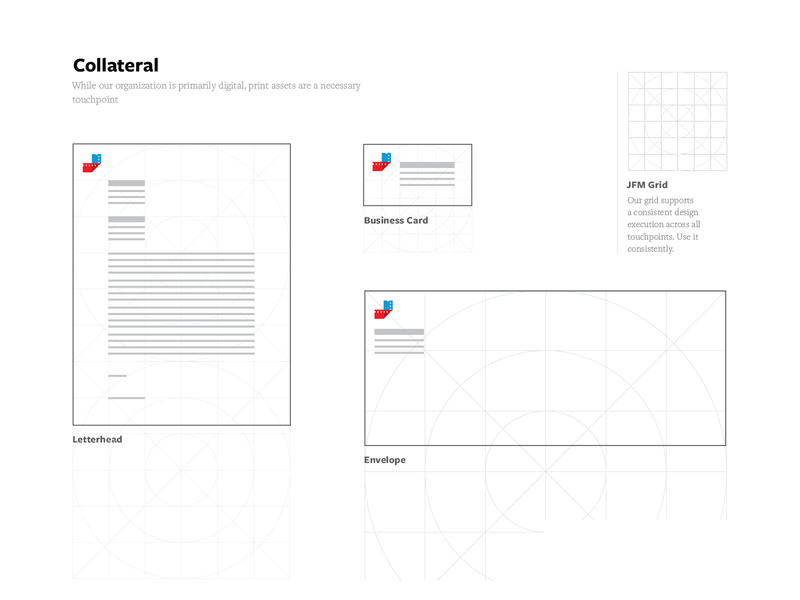 To promote consistency throughout the Brand, we established a grid that could be used as a framework for design and development of brand assets. 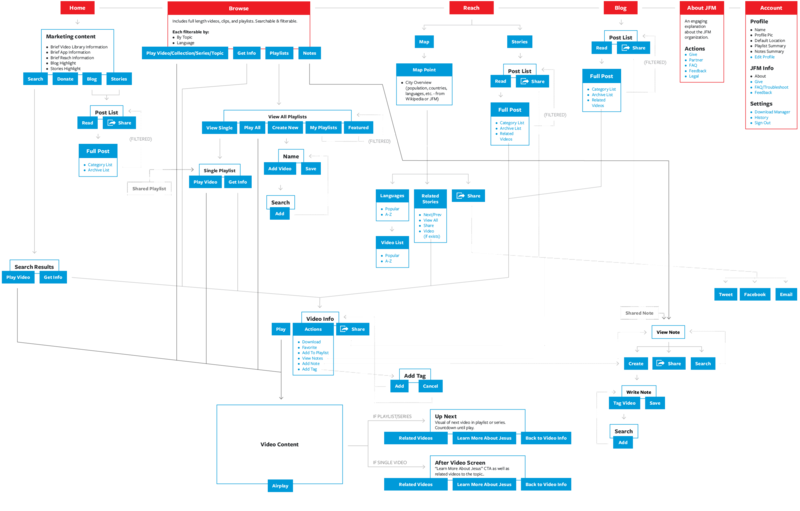 I led our team through the architecture and wireframing process for all platforms beginning with the mobile app. 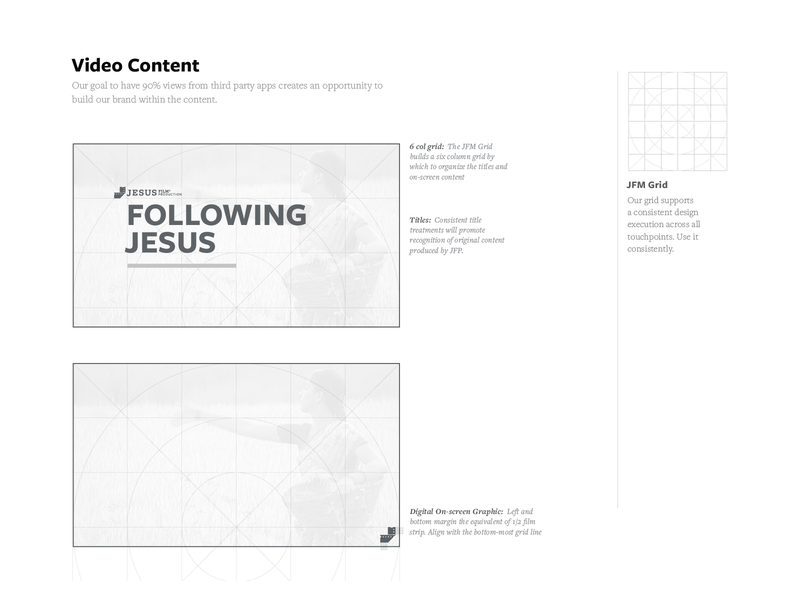 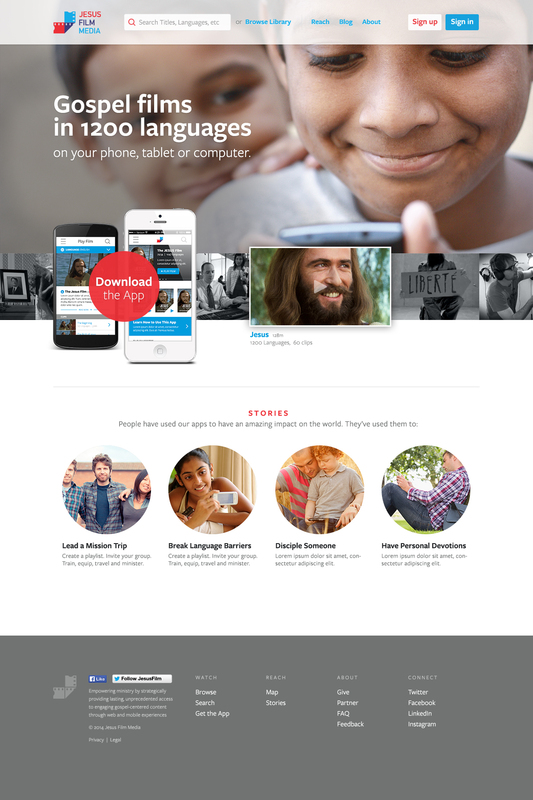 I established the visual design direction for the team to continue to execute across all apps.